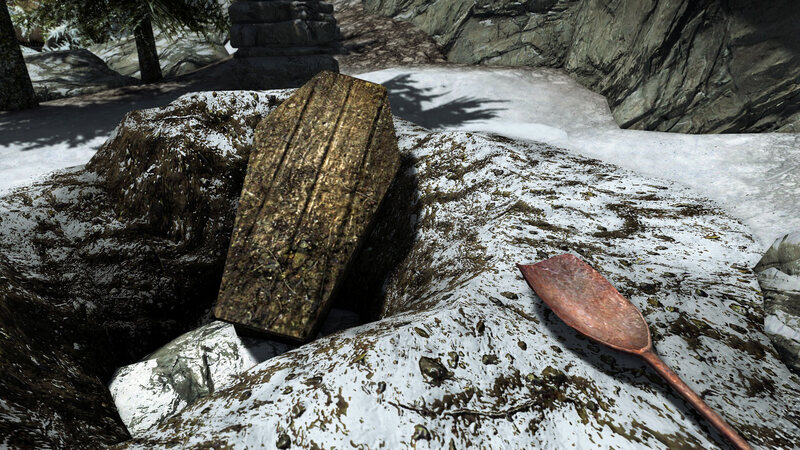 J’Zhirr finds Helgi’s newly dug grave. There is no answer when this one calls her. Then J’Zhirr remembers the rule of the game is to find Helgi at night. When J’Zhirr returns in the dark, he finds a vampire standing over Helgi’s grave. J’Zhirr slains the vampire and Helgi tells this one that the vampire Laelette was told to set fire to Helgi’s house. Helgi says Laelette kissed her neck and it got so cold that the fire didn’t even hurt. Although Laelette wanted to take and keep Helgi, her plan did not work as Helgi is all burned up. When Helgi finishes her story, she says she is tired and is going to sleep for a while.